John Breed just couldn’t stay away. 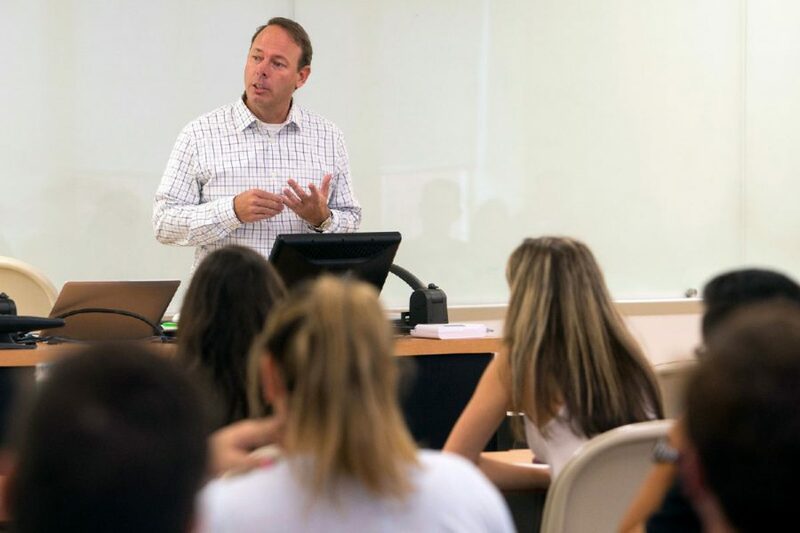 The former Florida State University entrepreneurship faculty member, a successful entrepreneur himself in the private sector, is back teaching at FSU after working the past year at a large IT company. The opportunity to help launch FSU’s Jim Moran School of Entrepreneurship was irresistible for someone with an entrepreneurial penchant like Breed. The Jim Moran School of Entrepreneurship welcomes its first class of 80 juniors this fall, including several at the FSU Panama City campus. Sixty students enrolled in the commercial entrepreneurship major and 20 selected social entrepreneurship. Florida State built the Jim Moran School with the help of a record $100 million gift from Jan Moran and The Jim Moran Foundation in 2015. 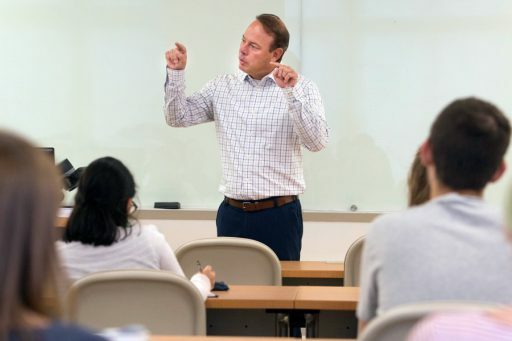 Over the past year and a half, faculty members and entrepreneurs developed a unique core curriculum designed to prepare students for real-world challenges in their own businesses and existing companies. 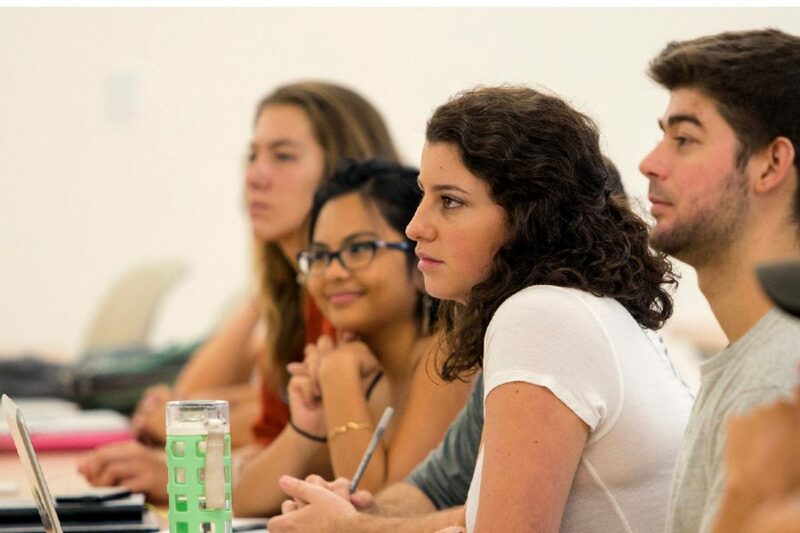 Fiorito has helped transform the program from just an idea — a vision of entrepreneurial education from the late Jim Moran and his wife, Jan — to a dynamic school that becomes the first and only in the nation operating outside a college of business at a public institution. That distinction gives the Jim Moran School a clear advantage in the educational marketplace. Rachel Collins is one of the students in the first class. Both of her parents are entrepreneurs — her mother owns a human resource consulting firm and her father owns a chain of physical therapy clinics — so entrepreneurship is kind of like the family business. Collins understands and appreciates the entrepreneurial mindset, which she sees in professors and peers in the Jim Moran School of Entrepreneurship. Incoming classes will continue to grow each year. By 2022, the program expects to have a total of 500 students. 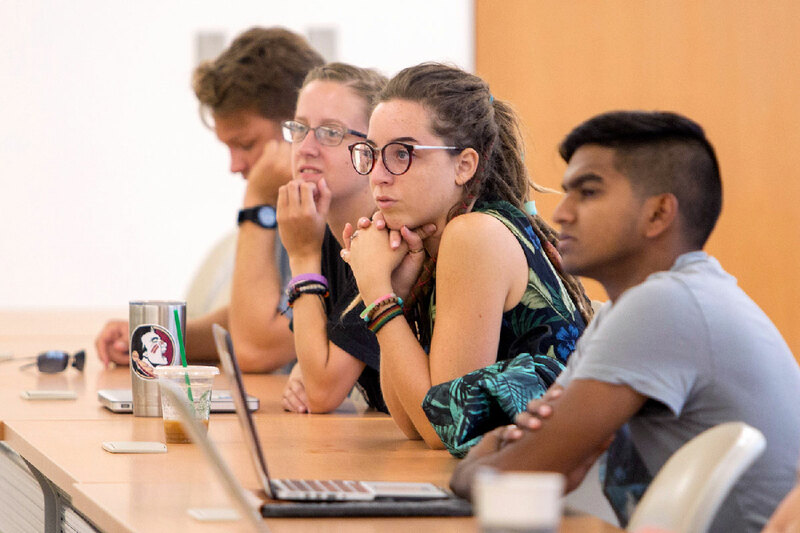 The current staff includes five full-time faculty members, more than 25 entrepreneurs in residence across campus and other instructional faculty. The ultimate goal is to make the Jim Moran School the best school of entrepreneurship in the nation. “We’re reaching across the university and the community to teach our courses where there is an interest and a need,” Fiorito said. Fiorito has guided the program to an early start. Under the original terms of the $100 million gift agreement, classes were not scheduled to start until fall 2018. Kirsten Frandsen, the school’s program coordinator, is fielding lots of calls from students and parents. 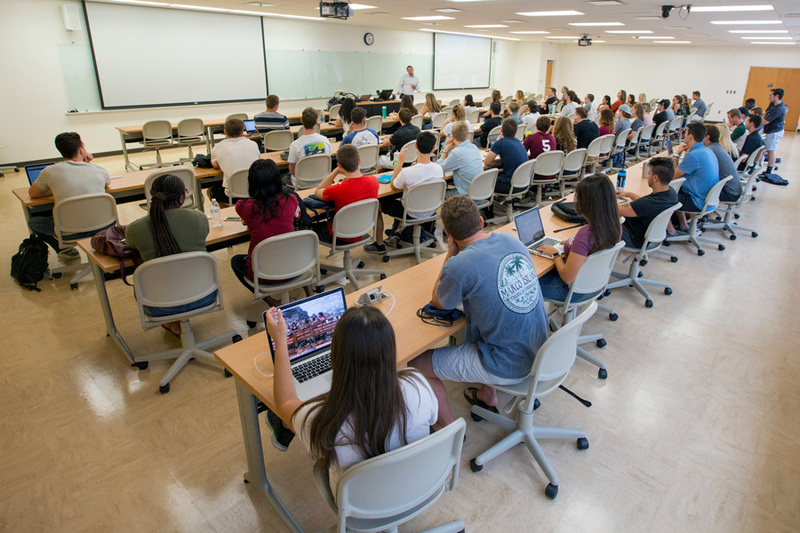 Most ask about the difference between an entrepreneurship major and a more traditional one in the College of Business, such as accounting or finance. Frandsen tells them entrepreneurship offers broader business training and it’s available to anyone. Students in any major can learn how to run an entire business.